Momma Told Me: Like a tall cup of coffee. If you've ever heard the flirty phrase, "Tall, Dark, and Strong" in reference to coffee and men, then you'll know exactly where I'm going with today's recipe. Chocolate, much like coffee, actually has a lot in common. In fact, there are many cultures where cacao beans have long been roasted and served as beverages at times of festival and to guests of great honor. 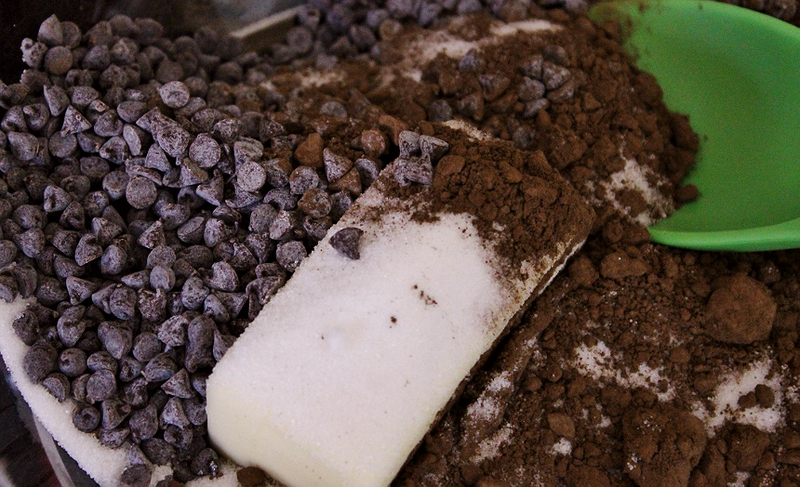 And Cacao Nibs, the coffee bean of chocolate is are widely regarded as nature's chocolate chip. Nibs, dried and fermented cacao beans are rich in bitter cacao flavor and have a wonderful nutty crunch that is extremely addictive to an elevated palette. 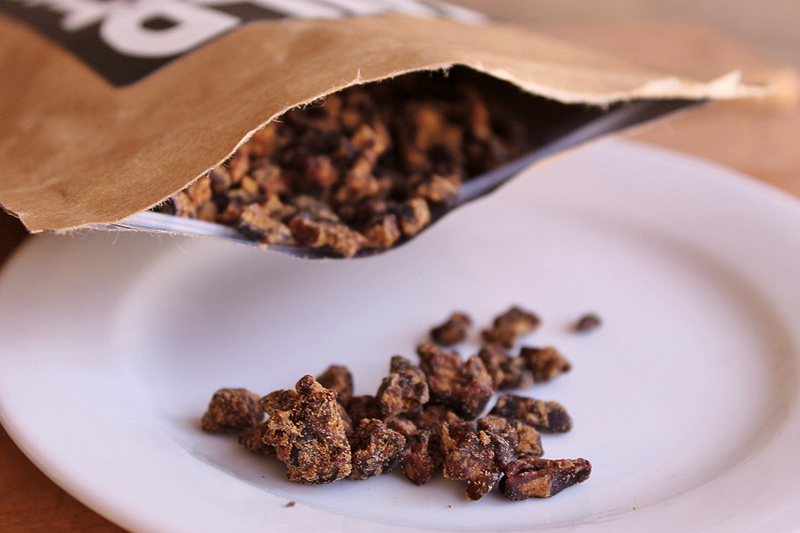 You can't call yourself a true chocolate lover without having tried Cacao Nibs at some point. For baking, sweet nibs are sold lightly coated in coconut sugar. For snacking you'll find some of the world's more exclusive bean-to-bar chocolate bars with nibs nestled inside, or simply chocolate coated nibs. And, if you're simply a fan of raw chocolate, you can enjoy whole cacao beans sourced from the rarest single origin growers, sold in the pod, as fresh as the flavor experience gets. But Cacao Nibs aren't for everyone. They truly have a much more Earthy, 'raw cocoa' flavor that is quite reminiscent of coffee with nutty notes and textures. They're playful crunch and snap makes them a wonderful addition to any recipe when seeking texture.Since they are typically bitter you will often want to use a Sweet Nib product when baking, or consider replacing nuts in a recipe for plain raw nibs. Personally, I enjoy sprinkling sweetened nibs directly onto a scoop of Vanilla Bean ice cream! 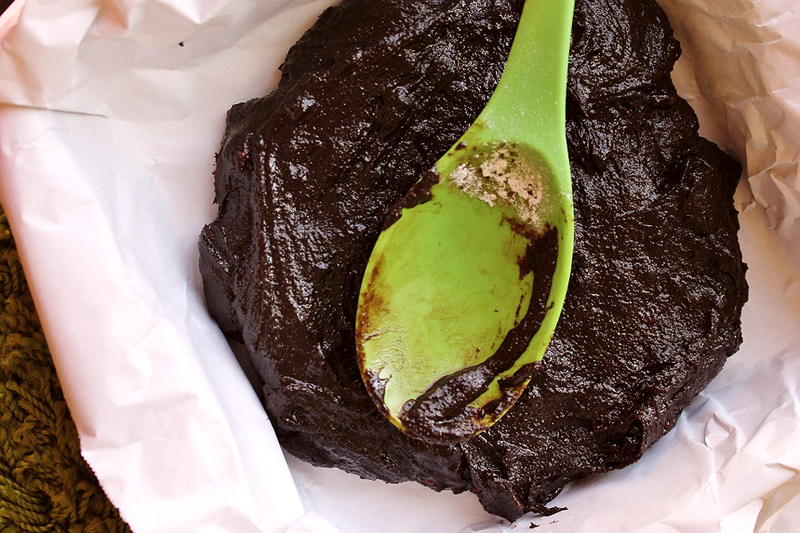 Of course Nibs are the heart of chocolate, their origin, so I've chosen to share a delicious Vegan brownie recipe that is perhaps more indulgent, and more brownie, than any non Vegan recipe I've ever tried. Don't worry, if you're not Vegan, there are no expensive or fancy replacement ingredients outside of the Nibs and a high quality Cocoa Powder. 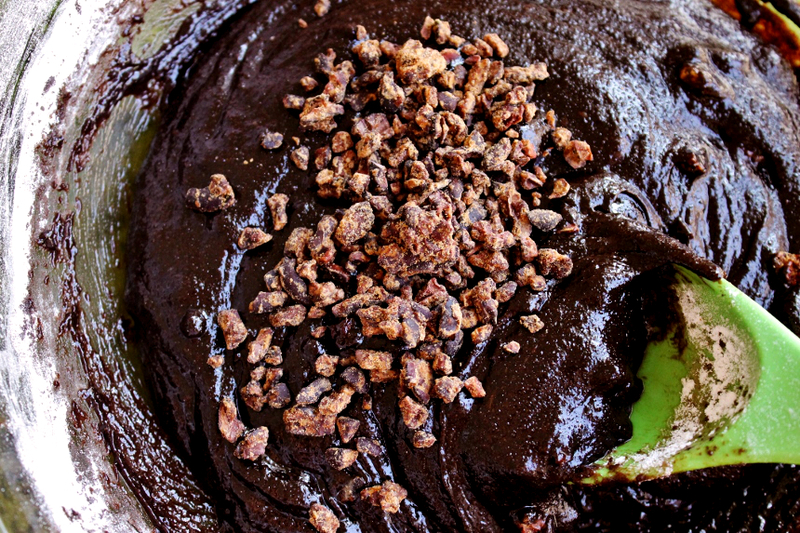 The more you invest in your Cacao ingredients on this one the richer the flavor experience will be. 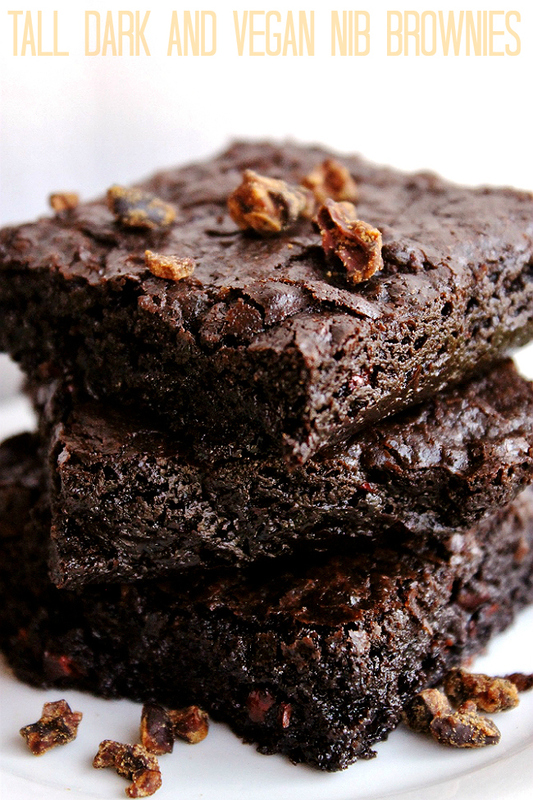 These are NOT intended to be your typical Hershey's brownies. 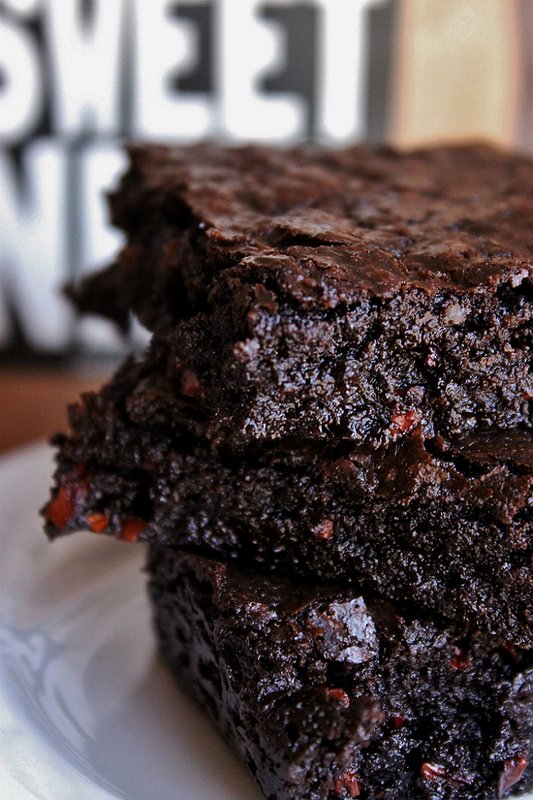 Expect these brownie to be dense, but not gooey or sticky. The photos showcase the wonderful texture of these brownies beautifully but I promise they are not under-cooked, or even messy to enjoy. There's even a bit of chew to compliment the crunch of the nibs- like a great brownie should have. And the color? Well, that's all cacao baby. 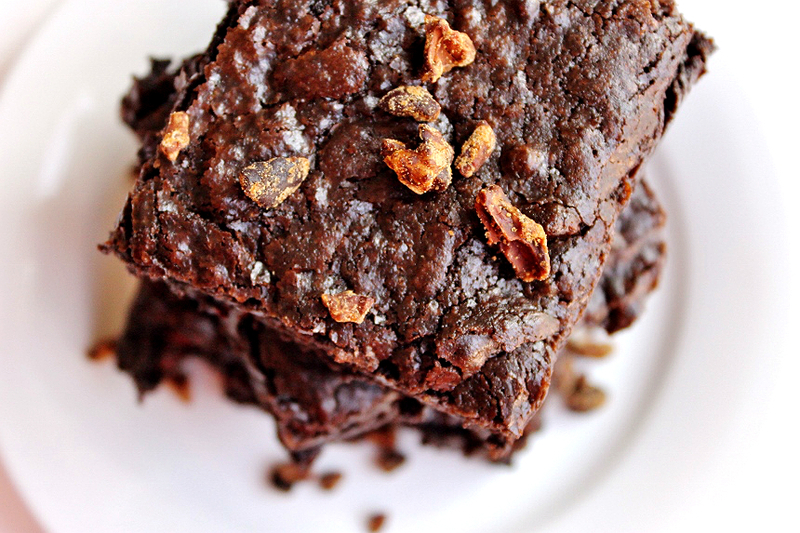 Best of all, because of the high focus on traditional flavors, instead of sweetened or processed ingredients, these brownies aren't over-indulgent by any means. You will want to enjoy them with a tall glass of Coconut Milk, but your palette won't be feeling weighed down by the shock of sickly sweet. Just take my word- these are definitely worth the try! What Daughter Says: True chocolate flavor is intense, rich, and full of origin flavors. Nibs are the flavor chocolate is steeped in. 1. Line an 8" x 8" baking dish with parchment paper. 2. In a small saucepan over medium heat combine Vegan butter, sugar, cocoa, chocolate and salt. Stir constantly to ensure everything melts evenly. When well combined remove from heat and stir in vanilla. Allow to cool for 5 MINS. 3. 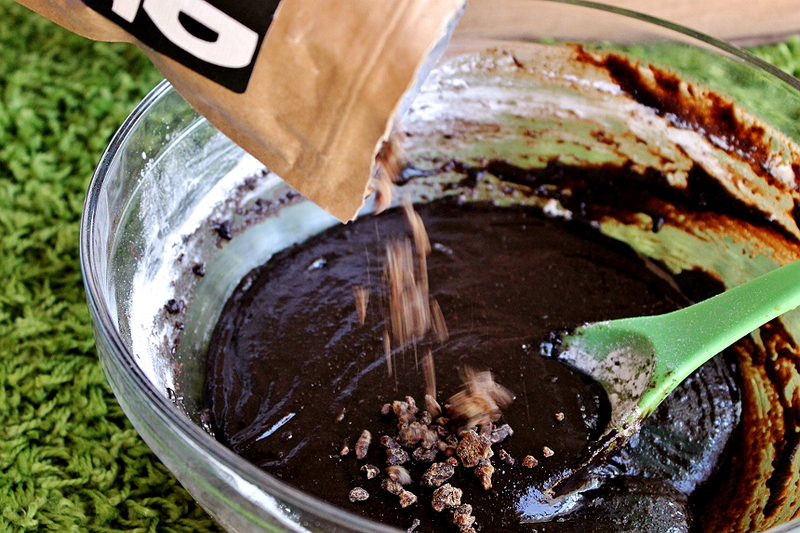 Pour the egg substitute mixture into the chocolate mixture and beat by hand to combine well. Stir in flour just to mix. Gently stir in cacao nibs. Pour into prepared baking dish, gently smoothing to edges with a spatula. The mixture will be thick, wet, and sticky. 4. Bake for 30-35 MINS, until a toothpick inserted comes out dry. Do not overcook- some crumbs are fine so long as the toothpick is dry. Allow to cool in pan 10 MINS then lift to remove and cool on wire rack for another 10-15 MINS. Cut, serve, and enjoy. I love chewy, dark brownies. I have tried nibs by themselves, not sure how I'd like them in my brownies. I just went to a Chocolate Factory and they were educating us on this very thing. I definitely love some nice dark chocolate desserts! These look amazing and now I'm craving! I have to admit that I didn't know what "nibs" were! Looks like quite tasty and easier to make. I want to try this recipe. You had me at Tall Dark and Vegan. LOL. Wonderful recipe. Can I Substitute gluten free flour mix?